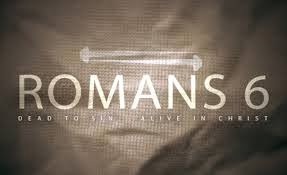 We are free from sin, because we died with Christ, and are raised to walk in newness of life. Through faith in Christ Jesus we are united with Him in the likeness of His death and His resurrection. We are free from sin, because we died with Christ and now He lives in us. It is no longer us who lives, but it is Christ who lives in us. Christ died to sin once for all and is alive to God forevermore. Therefore consider yourselves dead to sin and alive to God in Christ Jesus forevermore. Do not worry about sin or its lusts, because you are not under law you are under grace. Do not give into sin either; because you are not a slave of sin, you are not obligated to obey its lusts. You are a slave of Christ Jesus who bought you with His own blood. When you see, hear, or think something that is a temptation to sin; do not worry over it, or resist it, because you are not under law you are under grace. Do not give into sin either; because you are not a slave of sin, you are not obligated to obey its lusts. Jesus lived the righteous life God requires for eternal life, and then died in your place for your sins. What then are you obligated to do? Believe in the Son of God, Jesus Christ the Lord, and love other people!